Clisby is well recognised as a compressed air sales and service company specialising in high quality, fit for purpose and often specially designed equipment to suit specific client applications. 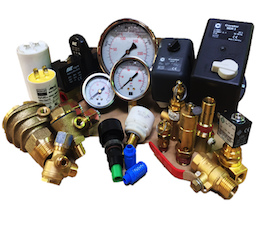 Clisby designs, fabricates and assembles air compressors, dryers and pressure vessels in its Adelaide factory maintaining a highly skilled team and sells through a dealer network and direct sales within Australia. The Clisby product comes with a manufacturer’s warranty and either meets or exceeds the relevant Australian Standards. Products include Oil free and Oil Lubricated compressors in reciprocating or rotary screw, Refrigerative and Desiccant dryers, Filtration, Pipe Spools and Pressure Vessels together with associated equipment such as solenoid valves, safety valves, pressure switches and auto drains. Clisby Air Compressors offer maximum efficiency and reliability and are available in a variety of technology, sizes and pressures to suit most applications. Reciprocating or as some refer, piston type compressors are available in single and two stage versions, with single stage or up to say 115psi, most are used for industrial applications using conventional tools and the two stage compressor are generally used for specific demands and automotive applications. Reciprocating compressors are available in 1 – 20hp in single and three phase electric, diesel and petrol drives, with and without electric start and an off road range of 2.5cfm at 100psi in 12 and 24V DC direct couple drive. Visit our reciprocating compressors range or contact us for more details. Rotary screw technology has many features, but the most significant is that they can run at 99.9% duty and transmit very low sound emissions and are ideal for constant demand applications and are available in the 7.5bar to 13bar. The units are available from 5hp to 100hp as a stock range with higher flow models available upon request. Visit our rotary screw compressors range or contact us for more details. The Clisby range of dryers fall into two categories, Refrigerant and Desiccant, the refrigerant type are efficient and ideal for either reciprocating or rotary screw compressors, they come with environmentally approved gas and will provide dew points of 3 deg C in constant running mode, the desiccant on the other hand can bring dryness down to -70deg dew point and are available in pressure swing heatless twin tower or regenerative and heated type with high efficiency programmed recycling on the regenerating cycle. Filtration of compressed air is essential for most downstream activities and Clisby will have a model available to meet all inlet conditions. Filters are generally threaded up to 2” and thereafter flanged. Filters normally cascade in process starting with 1 micron down to 0.01 micron and can also have features to remove odour and hydrocarbons for applications such as food, medical or breathing air. Please visit our Dryers & Filtration product page or contact us for more details. All pressure vessels sold and operated in Australia must meet specific design and fabrication compliance, the most common being AS1210, all pressure vessels sold by Clisby are compliant and are available in a variety of sizes from horizontal to vertical. Clisby maintains a design department that will design and fabricate pressure vessels of standard or specific features that may include high pressure, large volume with special paint requirements. The range of pressure vessels is generally from 25litre to 100,000 litres. Please visit our Pressure Vessel product page or contact us for more details. 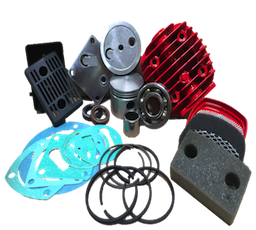 Clisby maintains a large inventory of spare parts for the equipment and products it sells and also a comprehensive stock of valves, pressure gauges, drains, electric motors, switches as well as replacement compressors. Please visit our products page or contact us for more details.